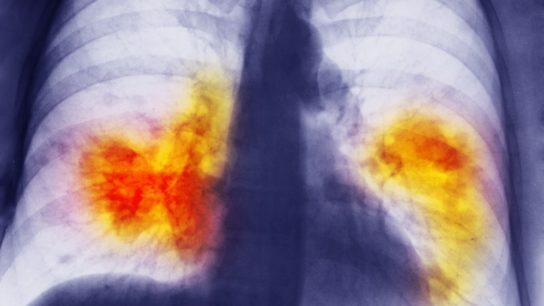 The FDA has approved Keytruda as monotherapy for the first-line treatment of patients with stage III NSCLC. One-third of cancer patients and survivors use complementary and alternative medicine. Poorer cancer patient health tied to higher levels of caregiver distress in informal caregivers. Cost estimates are based on additional treatment following higher failure risk for first-line cancer treatment. The objective response rate was 19.3% in patients with incurable, advanced small cell lung cancer. In patients with lung adenocarcinoma, radiomic texture features extracted from within and around the nodule on baseline computed tomography can predict a response to chemotherapy. 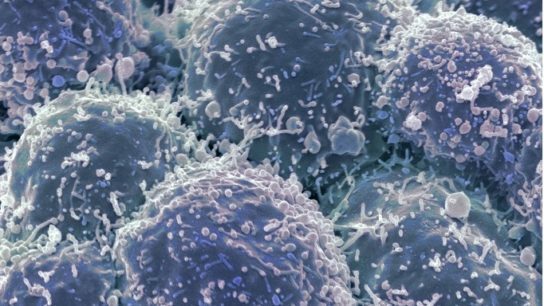 The Food and Drug Administration (FDA) has approved Tecentriq (atezolizumab; Genentech), in combination with carboplatin and etoposide, for the first-line treatment of adult patients with extensive-stage small cell lung cancer. The Lung Cancer Causal Model relies on CT features, demographics, clinical data, and improves on current methods. Johnson & Johnson is being investigated over possible asbestos contamination of the company’s baby powder and other talc-based products.